Why Retire to Clermont, Florida? 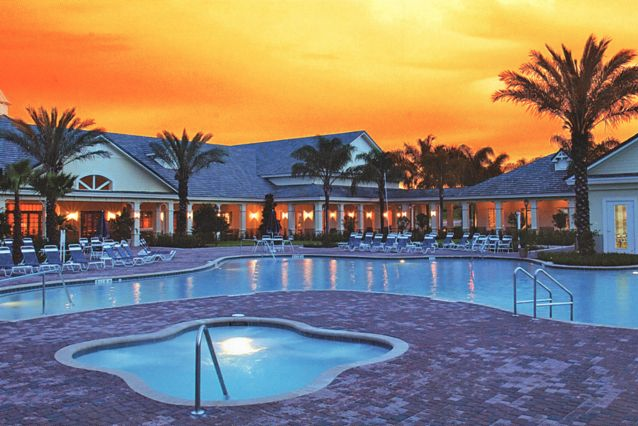 Summit Greens is an intimate sized gated community in Clermont, FL for residents age 55 and better. Located in Lake County, Florida, Clermont is a tranquil destination within close proximity of many urban attractions. The city is just 45 minutes west of Orlando, but it is also within easy access of destinations like Lake Louisa State Park, Lakeridge Winery and Vineyards, and the Florida Citrus Tower. It’s a lovely area to visit and an even better place for many active adults to call home. Clermont is largely a residential area, though it also has retail centers, restaurants, and other facilities. There are several golf courses in Clermont, such as the Green Valley Country Club and the Clearbrook Golf Club. The city is also home to the Florida Citrus Tower, a 226-foot structure originally designed to let visitors observe the miles of surrounding orange groves. Today, the tower offers a sweeping view of the area’s rolling hills and suburban neighborhoods. Outdoor enthusiasts will love Clermont’s scenic recreations such as those found at Lake Louisa State Park. This beautiful park features access to fishing, kayaking, and canoeing at Lake Louisa, Lake Hammond, and Lake Dixie. There are trails for hiking, biking, and horseback riding as well as campgrounds and picnic areas. Though Central Florida may not be well-known for its wine production, Clermont residents and visitors can enjoy tours and tastings at Lakeridge Winery and Vineyards. This gorgeous winery is set on a 127-acre estate, which includes a large tasting room and a gift shop. Special occasions at the vineyards feature events like arts and crafts fairs, harvest festivals and jazz concerts. Active adults who settle in the city of Clermont will find several options for recreations and activities in neighboring regions as well. Many of these exciting attractions are centered around the nearby Orlando area. This region is home to famous theme parks like Walt Disney World, Universal Orlando, and SeaWorld. Downtown Orlando also offers more traditional urban attractions, like museums, performing arts centers, shopping districts, restaurants, and a bustling nightlife. Older homebuyers who prefer to live in an age-restricted community will find several mid-sized developments in the Clermont area. Built by Lennar Homes, Kings Ridge features two golf courses, a spacious clubhouse, and just over 2,000 homes. Active adults can find new construction homes in communities like Heritage Hills, and a more intimate setting in the quiet neighborhood of Summit Greens. The city of Clermont is also within 35 miles of Leesburg, where active adults will find additional attractions and diverse communities. In Leesburg, homebuyers will find everything from resort-style developments like Plantation at Leesburg to cozy neighborhoods like the new Arlington Ridge community. Active adults who want a Central Florida location with small-town charm and easy access to urban attractions are likely to find an ideal retirement destination in the lovely city of Clermont.